At present what is considered as one of the most alluring smart phones in the consumer market is Sony Xperia Ultra. Though the smart phone brings in a host of features and designs of the same small Xperia Z version, but its slim and broad screen is catching the eyes of many. Though the big size is also a problem of many, with 6 .4 inches some consider it on larger side. If anyone has used the Xperia z then can easily swipe off the Z ultra, as it copied in large parts from it. But is we speak of the key junctures of this Sony Xperia Z ultra, and then it has to be the snapdragon 800 capacitive processor over the usual flagship models with 600 snapdragons. The smart phone from Sony is available in three standard colours of black white and purple. Now let us take look on how fairly it had scored against the fellow competitors in market. The company lately has played special stress in the style concerns. Though the design of this smart in most of the aspects is quite similar to that of the Xperia line up. If one just forgets the size of the smart phone, then it is quite obvious to predict that it is just a bigger version of the Xperia Z. The front rear part and the back panel of the device are in every way relating to the Xperia Z along with the logo and 8 mega pixels cam. The positions of the buttons are quite on standard, as when anybody would need to work with the buttons, it manages to fit at the very grasp. Initially there seemed to persist some slug in Micro SD card and the SIM card slot areas. Finally with little more aggression it proved to be secured. Often seeing the size and layout particularly when held in landscape mode it is termed as the largest Smart phone and the smallest tablet in market. When speaking of display, the first and the foremost thing to speak are the 6.4 whooping screen. 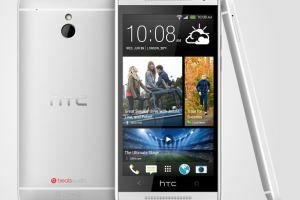 It is regarded as the largest smart phone till date. The smart phone stands at resolution strength of 1080p. The per inch strength of the pixels stands at 334. Though its real identity in strength of display revolves around X reality engine and the triluminos feature in built in it. The viewing angles in the smart phone Xperia Z ultra is far decent than that of the Xperia Z. When one watches videos through this device, may feel of watching a small Bravia TV. Though the sunlight effects is one thing which still needs improvement. As a whole the screens are targeted more for indoor type of usage. Though like note or any other big screened smart phones, there seems to be nothing to be offered by the Xperia Z ultra. But this does not refrain back the users of Xperia Z ultra from using a stylus. Any ball pointed pen or a pencil can be used as an alternate of the normal stylus in the Z ultra smart phone. AS the touch panel is kept in the same LCD overlays, so it has proved a major help for stylus detection. There are also the options of sensory through which one can choose between the multiple styluses used. If you are thinking that it may be quite the same in performance as that of the S4 pro, and then could be wrong. When most of companies are essaying their flagship models at 600 snapdragons, the Sony has zoomed in with a massive 800 snapdragon and 2.2GHz. It comes in with standard RAM of 2GB. If one looks at the hardware specs the first thing to speak will be the in board storage available for the smart phone, which stands at 16 GB. It has the option of Micro SD card slot through additional storage can be dropped in. 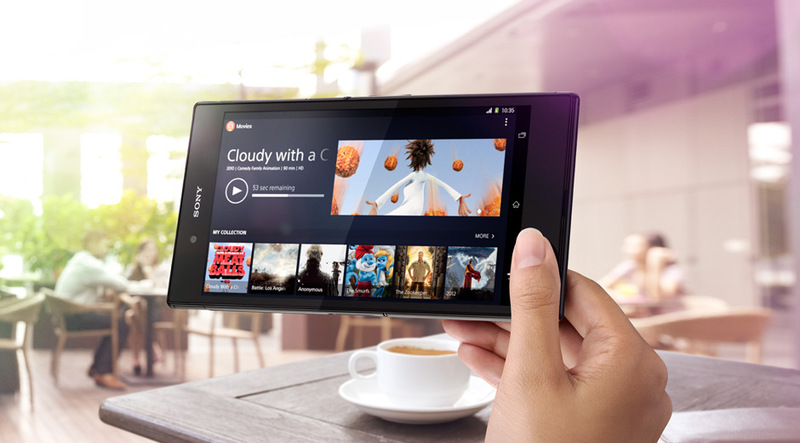 The Sony Xperia Z ultra comes in with a certified under IP -58. This clearly states, that one can easily use the phone under water and click photos or videos for 30 min. The smart phone from Sony also has scratched and dust resistance feature under its kitty. If one need to be considered about the sensor controls , then the Xperia Z ultra needs work hard on it, as it is not as good as it competitors under that price range. The IR blaster is missing, though this feature is not targeted by many but in an age of technology controlling house features this can be a turning point. Lastly, there are quite a few connectivity stored in the LTE under the Xperia Z ultra, so make the wise choice as per your need. The company has aimed for keeping a user friendly easy interface. It has used the theme of ice cream sandwich though runs on android 4.2. It has the play station 3 controllers connected with the smart phone. The usual Sony apps will available in common from the Sony apps store like gallery and the walkman. In the camera, it seems to be on the blur, as after many clicks it was noticed that the smart phone does have the flash diode. Here one can find in the same auto focus strength and also has the special mention of best shot settings through which a picture can be clicked to perfection. Though users wanted a 13 mega pixels camera, but it is packed with 8 mega pixels strength. The battery is very lean, it is a 3050 mAh capacitive battery in built in it. Dwelling through the performance of the phone it was expected that the smart phone of its size will be able to cover the entire day of work, and it does so rightfully. Though the standby of the battery depends on the usage credibility of the user. If one is using it as a tablet then has to check in for a low frequency which will be similar to the tab features. Thus, to sum up we can say that the smart phone from Sony with its great performance, the flexible stylus function and the large multimedia consumption through the gigantic screen. But it drops down on camera and the size seems to be weary for some users to sit back. All in all it is good device to check in at $800 USD.